INANE in Cuba! Registration now open! Integration of nursing, medicine and public health practice at all levels. Continuous risk assessment at the neighborhood level. Targeted intervention/education based on community needs. Widespread community engagement in health promotion, education and planning. The intersectioality of health: planning programs together with community health organizations, departments of education, transportation, public works, etc. Interdisciplinary work-groups as a foundation for healthcare teams. Visit to a polyclinic and neighborhood-level doctor-nurse office; interchange with health providers and patients. Meeting with grassroots neighborhood organizations to see their community projects. Discussions with public health professionals in Cuba to understand the social determinants and risk factors affecting population health in Cuba, and their emphasis on cross-sectoral work. Meetings with health policymakers to compare the challenges faced in the U.S. and in Cuba. Exchanges with professionals involved in nursing journals and other medical/scientific publications in Cuba. This educational exchange will be limited to 15-20 participants, who will be accepted on a first-come, first-served basis. Priority will be given to professionals involved in nursing journal publication (editors, reviewers, etc.). The group of travelers will be led by a MEDICC staff or board member, who will accompany the group from Miami to Cuba and back. MEDICC works closely with Marazul Charters, an agency with decades of experience in arranging legal travel from the U.S. to Cuba. If interested in this program, you will apply for the exchange and be notified of your acceptance by MEDICC staff. Then, you will sign a participant agreement form, and send MEDICC a $500 deposit to guarantee your place. Applicants should have passports valid for up to six months after the dates of travel (valid through 7/22/2017). Participants make their own domestic flight and hotel arrangements to/in Miami (the latter is subject to change pending the advent of commercial flights from the U.S. to Cuba before Spring 2017). One overnight in Miami will be required on January 14, 2017. The total cost for a 7-day program depends on the number of participants, hotel and ground transportation costs, and program activities, and will be approximately $3,800 – $4,800 (prices are subject to change due to extreme demand for travel and rapid change in the Cuban travel/tourism sector and cannot be guaranteed in advance.) Marazul will confirm the price once all members of the delegation are finalized and the customized program has been arranged. If you have questions please email or call Gateways Program Director Elizabeth Sayre at esayre@mediccglobal.org / (510) 350-3564. The final application deadline is August 15, 2016. Deposit, passport scan and other forms due September 15, 2016. Yesterday, Peggy and I had a video conference with Elizabeth Sayre of MEDICC, our travel partner for the INANE/Cuba Educational Exchange planned for January 15-22, 2017. We have 22 people who interested in this trip, which allows us to begin planning in earnest. While there are many details that need to be finalized, I think it is safe to say that INANE will be going to Cuba in 2017! Visit the AIDS sanitarium at Santiago las Vegas, perhaps facilitated by Dr. Jorge Perez, director of the Khouri Institute for Tropical Diseases. We also added some non-clinical sites to the list, including the Alamar Organic Farm, Jose Fuster’s home and gallery, Cuba Libro English language bookstore; Museum of the Revolution, and National Museum of Fine Arts. Details that are not final, but I know people are curious about are hotel and cost. MEDICC has put in requests for hotels for all of its trips in 2017–nothing has been confirmed yet. Two hotels that are on the potential list for INANE are the Melia Cohiba and The Presidente. 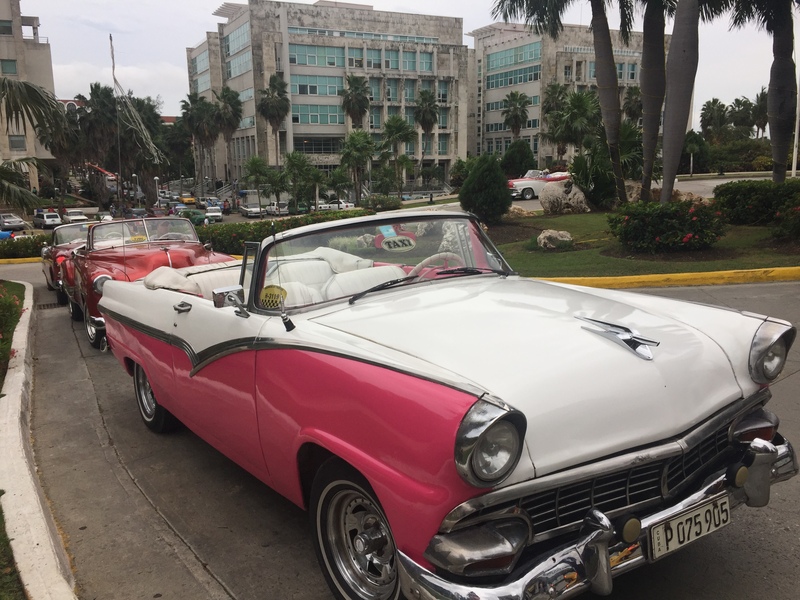 Both are in the Vedado neighborhood of Havana, which means they are close to restaurants, shopping, and evening entertainment. The Cohiba faces the Malecón and Bay of Havana. Cost: Again, many variables are in flux, including the possible resumption of commercial flights to Cuba from the US, which could have a large impact. For planning purposes, a reasonable “guess-timate” is $4200 to $5000 per person which would cover: round-trip airfare from Miami to Havana; seven nights hotel (breakfast included); five lunches; ground transportation for the week with driver; tour guide and interpreter. Individual expenses would include transportation to Miami; accommodations in Miami (if needed); meals not included as part of the trip (primarily dinner each night); entertainment expenses; souvenirs; tips. Timeline: There will be a 3 month registration period, from May 15 to August 15. Once registration is finalized in late August, travelers will be asked for a deposit ($300 to $500) which will become non-refundable after 30 days (approximately October 1). Final payment will be due a few weeks before departure. If you would like to be included on the mailing list for personal updates, please complete the Expression of Interest form. If you have questions or need more information, write to me directly using the Contact Form. I look forward to sharing more information about this exciting trip in the coming months! Yesterday Leslie and I launched our series of information meetings to share a report of our recent trip to Cuba! We shared some slides summarizing our trip, and had a great discussion focusing on what can happen on a January 2017 INANE delegation to Cuba. We have three more of these video meetings planned – if you are interested in learning more, please sign up for one of the meetings to learn more! Let us know if you are interested but cannot join in one of these meetings, and we will make sure you are in the loop about the potential for this trip. If you missed Leslie’s post just after we returned, check it out to catch up on for early summary report. If we find that there is sufficient interest to proceed with planning, we will let the staff at MEDICC know that we want to move forward with planning. We will then send out lots of information to everyone and will do all we can to make this a meaningful INANE event to strengthen our editorial connections with nursing and healthcare in Cuba! INANE in Cuba? It Could Happen! Last year, shortly after President Obama announced an easing of the decades-long embargo with Cuba, I had the crazy idea that perhaps INANE could have an upcoming conference in this country. I contacted Peggy Chinn and Joyce Fitzpatrick and the three of us had several meetings during winter/spring 2015 to discuss this possibility, but didn’t make much headway in terms of concrete information or actual planning. 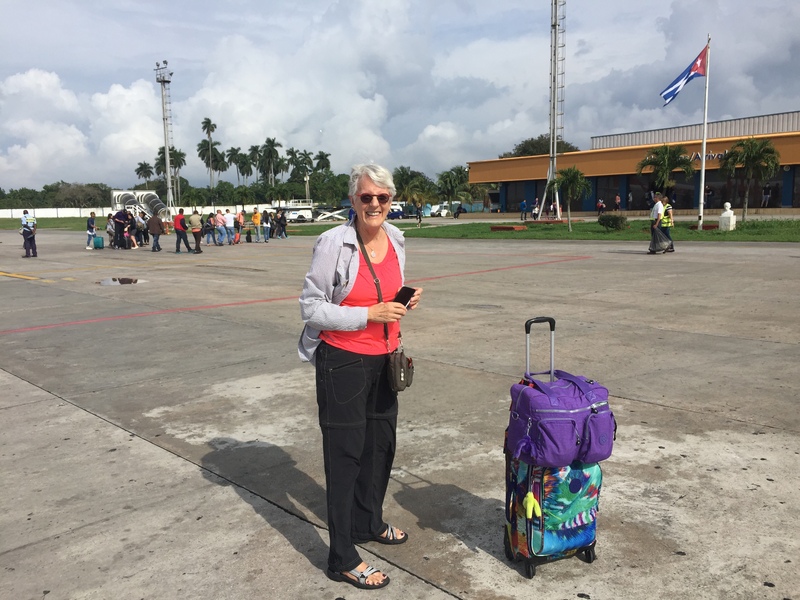 We had a lucky break when I learned of MEDICC, a non-profit organization that sponsors health/medical educational exchanges to Cuba and has done so for close to 20 years. We got even luckier when we found out that the MEDICC offices are just a few blocks from Peggy’s home and she connected with their educational staff member, Elizabeth Sayre. Our third break came when we learned there was a trip to Cuba planned for December 6-12, 2015 and space was available. Peggy and I applied to join the group and were accepted to go. Our specific objective for the trip was to determine if it was feasible for INANE to travel to Cuba for a conference. To facilitate this, we asked the MEDICC staff to include conversations with nurses and editors as part of the agenda for the exchange, and they did. This was very helpful for us to learn more and also make contact with particular people, complete with names and email addresses. We have already been in touch with them since we have returned home. Peggy and I thoroughly enjoyed the format of our trip, with activities planned for each morning and afternoon, based on the interests and requests of all the travelers. Activities included visits to various sites and meetings with selected staff to learn more, usually in the format of a brief presentation (usually in Spanish, with an excellent English interpreter) followed by time for questions, answers, and discussion (“the exchange”). 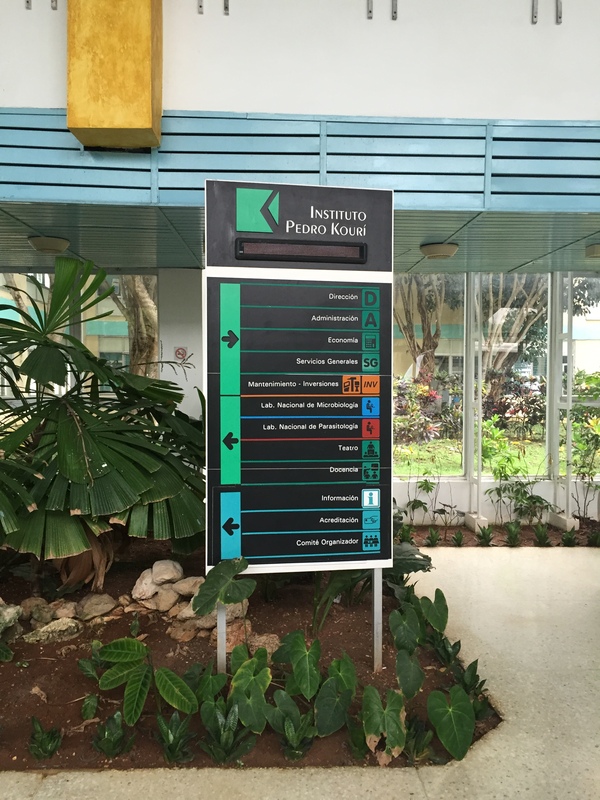 Our visits included a consultorio (family doctor/nurse office), a polyclinic (a regional clinic offering many outpatient services), a diabetes center, the Pedro Kouri Institute for Tropical Medicine, the Institute for International Collaboration, an organic farm, and the Latin American Medical School (ELAM). We also had specific exchanges with editors, publishers, nurses, and researchers. Throughout all of this, INANE was on our minds. We came to understand that Cuba is a unique and complex country and this complexity would make planning and hosting our “traditional” August conference in Cuba a daunting task. For example, the language (Spanish) limits independent exploration and requires an interpreter for anyone who does not speak the language, as the majority of Cubans we met do not speak English. The very limited resources and logistical challenges affect the visitor experience almost every moment. Added to this is the fact that it would probably be uncomfortably hot in August. And—creature comforts such as shopping, restaurants, and hygienic facilities—are not at a standard that some INANE members would expect. That said, people in Cuba are eager to reach out and the nurses and editors we met would be very interested in meeting and collaborating with INANE members, so we did not want to abandon the idea of a conference completely. As we pondered this, we had a lightbulb moment when the idea for an alternative educational event hit us—having an exchange for 20 people, not 100, that would follow the format of a MEDICC exchange. We also realized that such a format might achieve the INANE goal of having an international reach far more effectively than what we have done to date and perhaps could become a model for future events in countries that might be inaccessible for our large conference. With that in mind, we came up with the INANE/Cuba Collaborative Educational Exchange. To make this happen, we could partner with MEDICC to plan the trip. This would help with the logistics of arranging visas, charter flights, hotel reservations and so on—something that we think would be very difficult for our usual all-volunteer planning committee to do on its own. MEDICC also makes all arrangements for transportation to and from the sites, lunches for the group, and the translator, tour guide, driver, and a MEDICC representative to facilitate the experience. For our recent trip, all of these things were provided; we were on our own for dinner 5 of 7 nights, and had Saturday afternoon free. MEDICC would work with us to customize the agenda for the various meetings and exchanges to meet the needs of our group and make arrangements for all the presenters. We also envision educational programming created by INANE participants, to share among ourselves and select Cuban guests (ie, editors and nursing faculty). Having experienced a MEDICC trip, Peggy and I were both very satisfied with the planning and implementation, and we would be comfortable partnering with them for INANE. Having an INANE event in this format, with a smaller group, would also address some of the problems we realized: cooler weather in winter, and with a small group, better availability for hotel and restaurant reservations. As for shopping—well, let’s just say that if shopping is your priority, Cuba is probably not the ideal country for you to visit! The emphasis in visiting Cuba is really educational, which is one of the categories for visitors from the US entering Cuba to receive a travel visa. Peggy has already met with Elizabeth at MEDICC and they have availability for an exchange on January 15-22, 2017—so maybe this crazy idea really isn’t that farfetched! MEDICC has already requested hotel accommodations for a block of 20 rooms (not yet confirmed), and the date has not yet been claimed by any other group. Thus we are proposing to start the process of exploring this opportunity! Our next steps are to determine interest in this idea among our INANE members and see if we could muster a group of 18-20 to participate in this exchange. To do this, we will have several video Zoom meetings (zoom.us)—interested people would only need to attend one meeting but we have scheduled four (see below) to try to maximize attendance knowing people’s busy schedules. The meeting will start with a Powerpoint with pictures and an overview of our recent trip, followed by questions and a discussion to brainstorm ideas of what we’d like to do for an INANE/Cuba Collaborative Educational Exchange. When the meetings are finished, we’ll move forward with planning next steps, if the consensus from the group is that this exchange is a realistic idea. We can add additional meetings as needed. Please note that we are casting a wide net—all INANE members (editors, publishers, others) are invited to join the meetings and consider being part of this exchange. Peggy and I look forward to meeting with INANE colleagues and discussing this possibility. If you have questions before the meeting, please feel free to leave a comment below, or send a message to us using the contact form.